good news! tomorrow our latest collaboration with labyrinth and disk union will be hitting the shibuya disk union store. 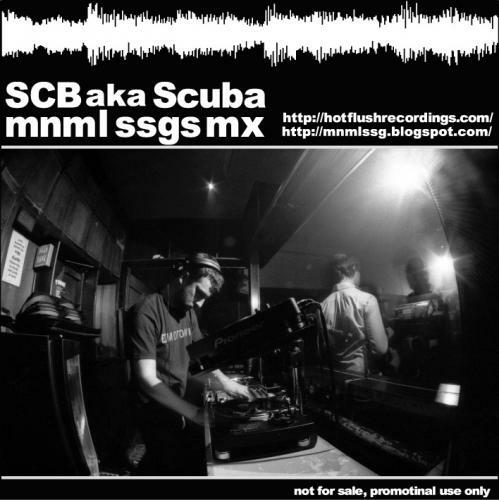 the new limited edition CDR promo is mnml ssgs mx 37 from SCB aka scuba aka paul rose aka someone who makes and DJs awesome electronic music. like the previous CDRs from marcel fengler and peter van hoesen, the SCB mix comes in lovely lossless format for your listening pleasure. to get a copy all you need to do is buy a ticket for labyrinth or spend at least 4000 yen on electronic music at the disk union shibuya store. seems like a good deal to me, because you should be doing that anyway! more info here. big thanks to scuba, labyrinth and disk union for making this happen. super excited to see the labyrinth of scuba vs SCB! Arrrr!! Already bought my tickets :( Shibuya is only a hop, skip and a jump away too. 37 more days... so ridiculously amped. well you can just buy some records or CDs and you'll get a copy of the CDR. labyrinth is getting very close. PUMP!